Like most rookie real estate investors, you may not have a lump sum of cash sitting around burning a hole in your pocket. Most of us start this journey by having to obtain financing. However, because of the earlier market crash, guidelines have become stricter and it is harder now to qualify for a loan. But don’t be dissuaded, we have detailed information here on what is considered when trying to get financing for your first 4 investment properties. When wanting to buy a property as an investor, which is different than buying as a primary owner occupant, the guidelines are different. Loan officers will look at the following areas to see whether you can qualify for the loan. One thing to understand is that there are a number of different loan products that you could potentially use to finance your deal. Working with a mortgage lender, who is knowledgeable of the various products but also creative when it comes to putting together a plan for you as an investor will be an advantageous move for you. For instance, you could use an FHA loan, which is a government backed loan product through Fannie Mae that is used for owner occupied property purchases. Meaning that you couldn't use an FHA loan to buy a true investment property (one that you won't live in). One major positive to using an FHA loan is the low down payment requirement. You could potentially finance a home for as little as 3.5%. 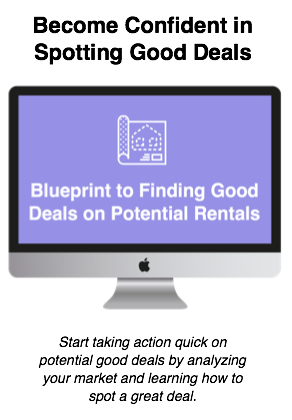 As an investor, looking to house hack your first rental, this is a great way to knock down the high barrier of entry to investing. The downside to using an FHA loan is the requirement of mortgage insurance. Because FHA loans are backed by the government (meaning if you can't pay the debt, FHA will pay the lender) they require you to pay an upfront premium and an ongoing monthly fee for mortgage insurance. One of the more popular loan products available for investors is the conventional loan. This is a popular choice amount investors because you are not required to live in the property in order to obtain this type of financing. The downside to using a straight conventional loan is that it will require you to put down at least 20% on a true investment purchase. Hence, the high barrier of entry that keeps out most rookie investors. No matter the loan product you choose to pursue, when using traditional banks for funding they will look at many of the following items to determine whether you qualify for the loan. Banks will look at your total income. So, if you are investing with a spouse, friend, or business partner, the bank will look at your total combined income for qualifying. When you borrow, the banks will look at how much you are planning to put down and how much you plan to borrow. The more money you put down will allow you to have a lower rate and a better chance of qualifying. Think about it, banks care about your ability to pay your mortgage. The more money you put down results in the banks having a cushion from you defaulting on the loan. 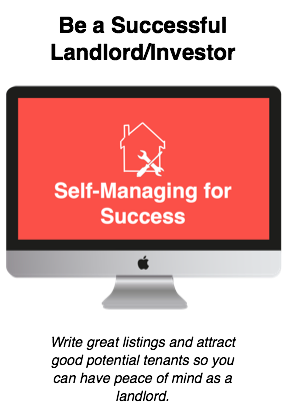 In most cases for investors, you will need to put down 20% resulting in an LTV of 80%. Even though you may make a lot of money, your debt can and will determine your ability to qualify. Your lender will look at your debt to income ratio- meaning your total debt may not exceed 40-45% of your gross income per year. What is included in total debt- things like car payments, student loans, credit card bills, current mortgages. What’s not included- utilities, cable bills, phone bills, etc. So what is the moral of the story? Someone who makes very little money, but has little to no debt can have a better chance at qualifying vs. someone who makes a lot of money, but has incurred a lot of debt. As an investor you must prove that you have 6 months of reserve payments for both your primary residence AND your investment property. For 100% of the cash value to be counted this reserve money must be in the form of cash, savings, and/or checking accounts. Banks will also look at retirement accounts and IRAs; however, they only count 70% of the account value because of penalties and tax rates that would ensue if you were to access these funds. When buying an investment property, through a normal sale, in most cases you will have a downpayment of 20% of the purchase price. There are some programs that require a smaller downpayment. So, if 20% is too high for where you are right now, seek out programs like Homepath that require a lower down payment for investors. Believe it or not, your history plays a role in your future. Your credit score, which tracks your ability to repay borrowed money, will determine whether you can qualify for a loan and the interest rate that you will receive. A higher credit score = a lower interest rate and better terms. There are a variety of loan programs that exist, and each program has different guidelines and requirements. The loan program will dictate varying terms and rates. For example, for owner occupants there is FHA, whereas for both owner occupants and investors, Conventional loans exist and each one requires different things from the borrower. As an investor, know in the beginning that you will have a higher rate than if you were to buy as an owner occupant. Why? From the bank’s perspective, investment properties pose a higher risk. If you only had the money to pay one mortgage, you would pay for the house that you are living in. For this reason, banks have a higher interest rate because there is a higher default for investors. 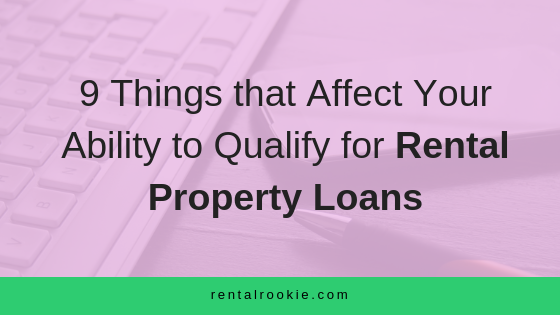 The type of property that you plan to invest in will also determine your qualifying ability. If you plan to invest in a multi-unit, such as a triplex or smaller apartment building, the requirements and terms for qualifying will be stricter than if you were to invest in a single family residence.Like I said, don’t be overwhelmed with qualifying, but finding a trusted lender can help you feel comfortable with this process.Indeed, there is a lot to know when it comes to understanding the loan process. Even more, it may feel like they are asking for a lot of personal information.One thing to realize is that there are guidelines put in place by banks and by the government that lenders have to follow.So when they begin to ask for a lot of information, bank statements, tax returns, etc. they are doing so to follow guidelines required.Learn 3 things that can hurt your ability to qualify for a loan...don't make these mistakes*Keep in mind that guidelines and programs change daily. Always make sure to check with your trusted mortgage advisor. Want to download these 9 things to keep handy....Click here!